For the auspicious occasion of Shri Bhairava Puja in 2017, the Sahaja Yogis of Africa humbly invite the world Sahaj Family to worship our Mother at Camp Zenith near Johannesburg, South Africa. We hope to see many of you for another joyful international puja in South Africa. With lots of love from your brothers and sisters in Africa. These prices include puja costs, food and accommodation, but exclude the shuttles to and from the airport, which we expect to be about ZAR250 from the airport to the venue and back to the airport again. 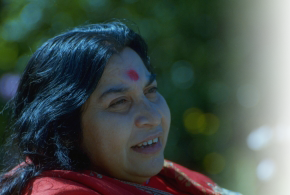 Yogis using the shuttle must wait at the International Arrival Lounge and look out for the Sahaja Yoga signboard. Don't bring bedding; it is supplied by the camp. Currency can be changed at O.R. Tambo International Airport; there are no credit card facilities at the venue. You may pay for the seminar in US$ or Euros or GBP, but we cannot make change in these currencies. Are you extending your stay in South Africa?